This week it snowed in Chicago! It was the fifth largest snowstorm on record and it just keeps falling. 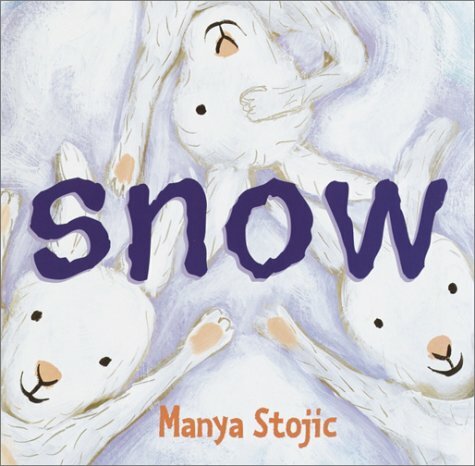 I planned this story time a few weeks ago and really wanted to wait for a snowy week to share this theme with my story time friends. 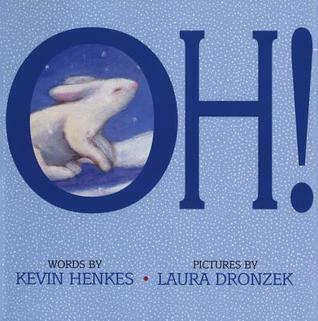 I do multiple story times each week for different groups and ages of children, so I always like to have more than a few choices to swap in and out. I’m a little snowfriend short and fat! Here’s my scarf and here’s my hat! Build a snowman every day! I’ll melt and there’s no more of me! I found it here (http://www.letsplaykidsmusic.com/my-little-snowman-kids-songs-for-christmas/) and changed the words from snowman to snowfriend. I made two flannel boards for this week’s them. The first is all over the internet, but I first found it on Loons and Quines @ Librarytime (http://loonsandquines.blogspot.com/2012/01/flannel-friday-five-little-snowflakes.html). 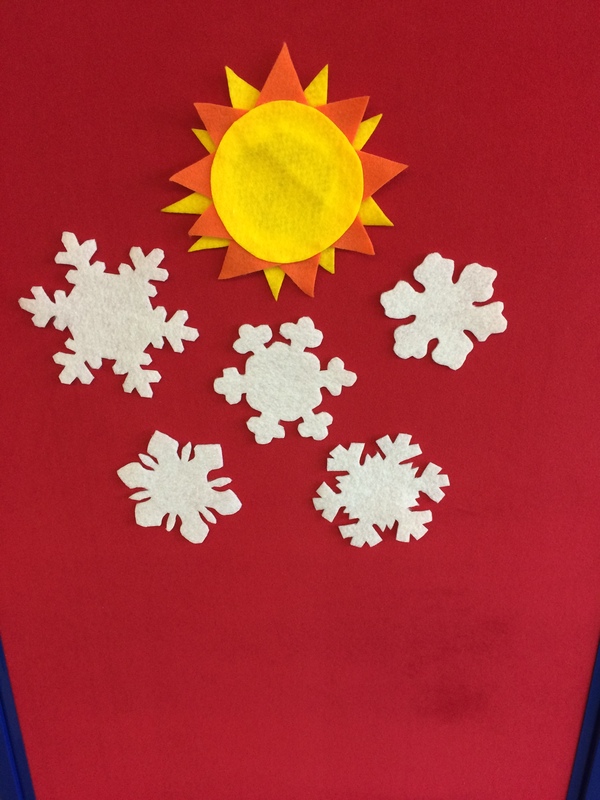 I really love the idea of backing the snowflakes with blue felt to make them more sturdy and also I think it will look a bit nicer on my red flannel board. 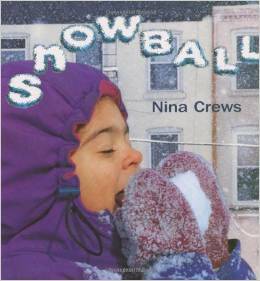 Something to add for my next snow themed story time! I was also very inspired by Storytime Katie’s mittens (http://storytimekatie.com/2012/01/20/flannel-friday-mittens/). 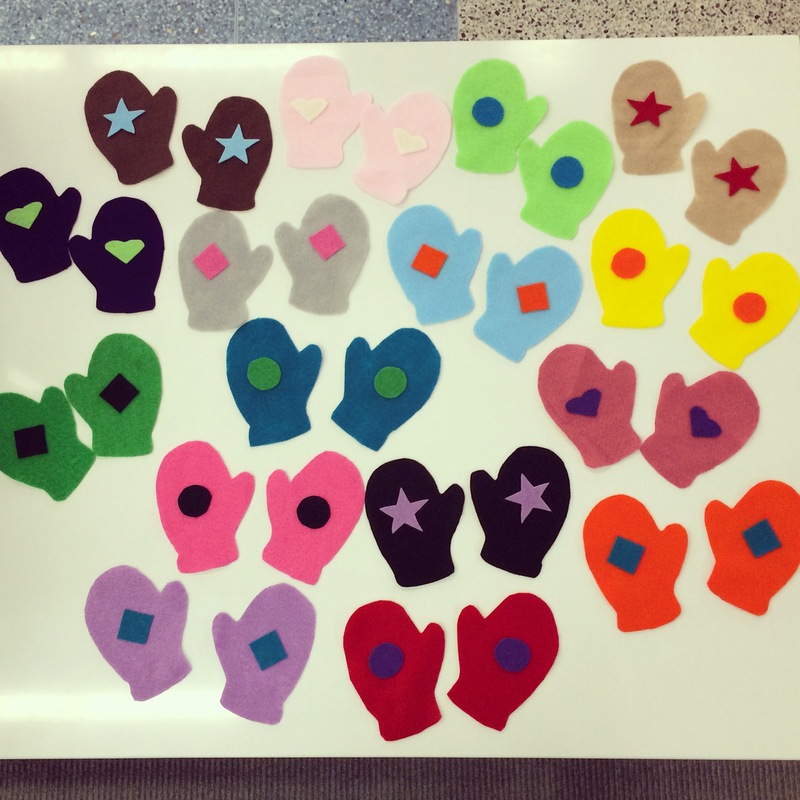 I really loved how she added shapes to her mittens, which can add some depth to the activity and made the mittens a little more exciting to look at.